I’m not recognising the costume on the left – the black and white socks/leggings, the black corset with the red buttons and frilled collar. The only things that’s springing to mind is the Harlequin but I’m not convinced. The Nostalgia bottles and case in the bag labelled ….NITE aren’t clues either. 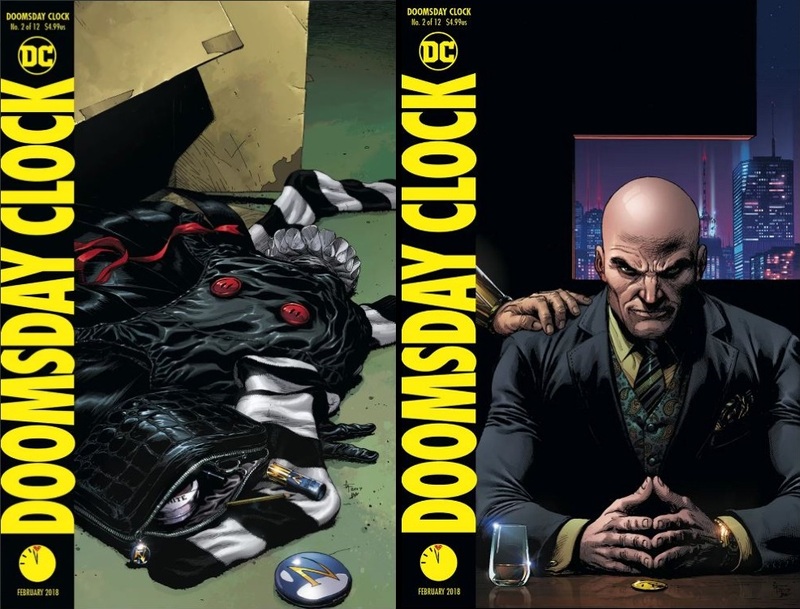 DC and Watchmen characters collide at last! And killer clowns trek through Gotham seeking a madman. is referring to Rorschach – is he the madman? I’m getting a darn sight more Image titles than I was this time two years ago when I used to blog so it seems only fair that as I looked at DC’s yesterday, I have a look at Image’s December solicitations today. 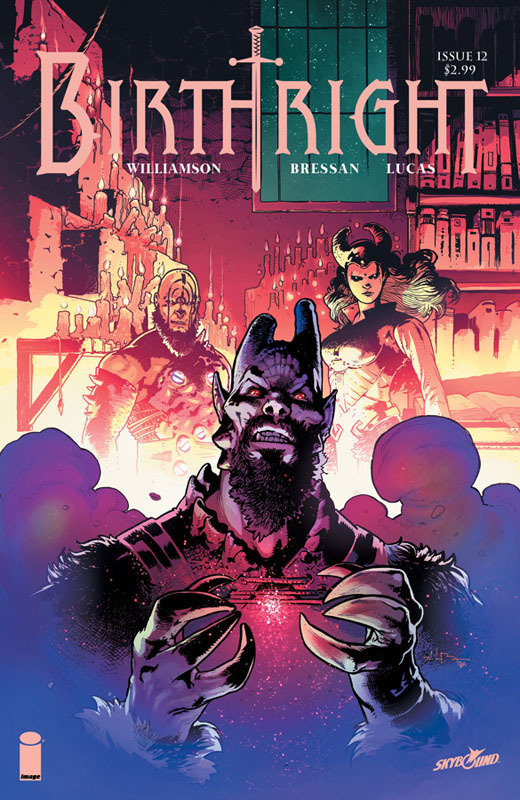 Birthright #12 – really been enjoying this from issue #1. 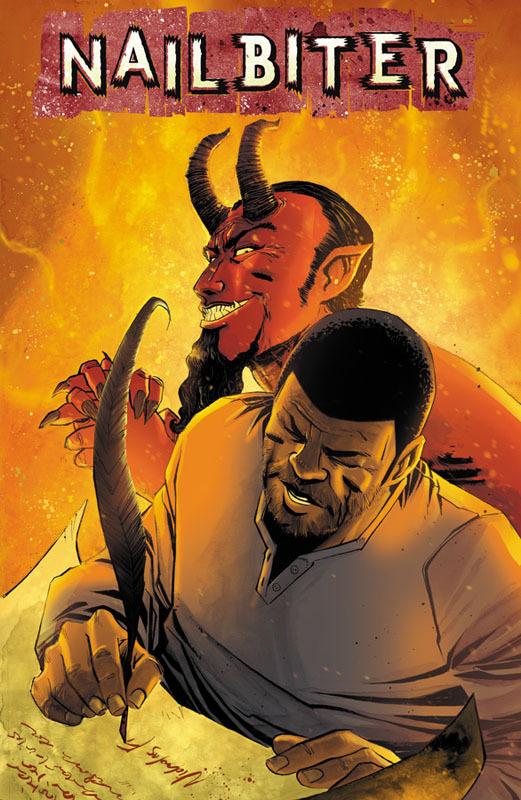 I think me and three other people liked Josh Williamson’s work on the quickly cancelled New 52 series Voodoo, and it was on the strength of that and the premise of Brithright #1 that I gave it a go. Haven’t regretted it since. 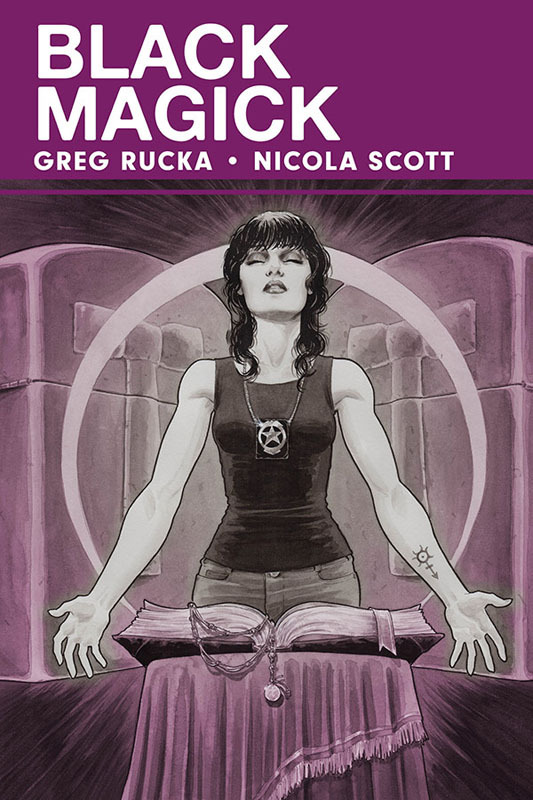 Black Magick #3 – at the time of writing, #1 hasn’t landed in my local comic shop but I’ve high hopes for this. And hey, Nicola Scott art is always a winner. East Of West – not one I’m getting in the monthlies but I picked up the first trade a few weeks ago just because it looked interesting (faux-Wild West with apocalyptic overtones gets me every time!) and I’ve got the second trade to read soon. 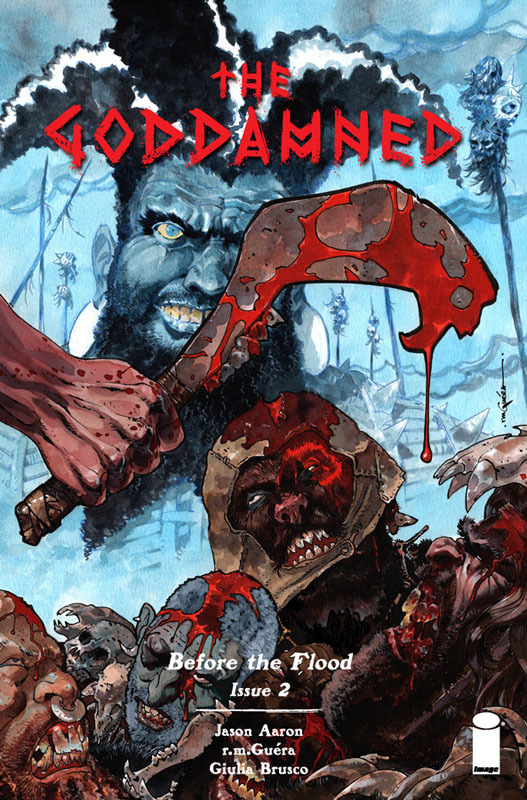 The Goddamned #2 – another series where issue #1 hasn’t arrived yet but I have hopes for. 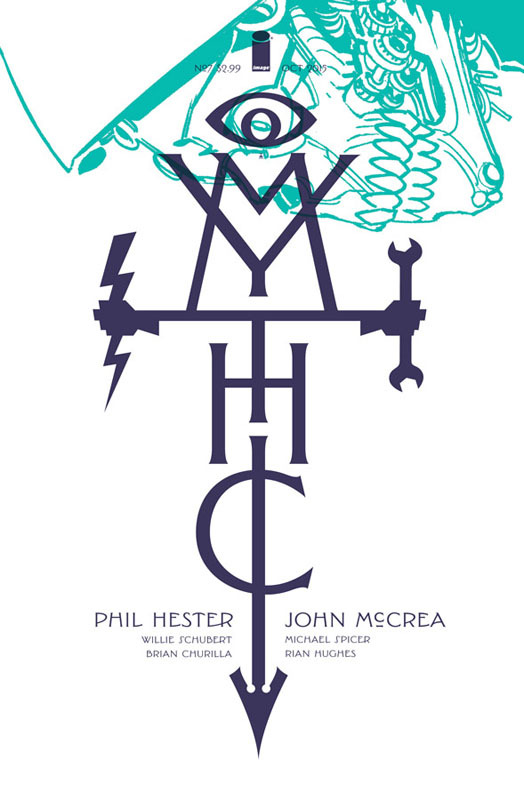 Mythic #7 – John McCrea art and Phil Hester writing; this is shaping up to be really good. Nailbiter #18 – the other Josh Williamson title I get which is even better than Birthright. Conspicuous by their absence was Copperhead (possibly my favourite Image title at the moment) and Rasputin. Honestly, it’s always baffled me why DC release their solicits in about five or six different posts; thank goodness Newsarama habitually collate them all into one. Here’s December’s; let’s see what we’ve got, eh? Harley’s Little Black Book #1 – not something I’ll be picking up monthly, but will probably grab in the trade; long been a fan of Palmiotti’s writing and Conner’s art is never less than gorgeous. 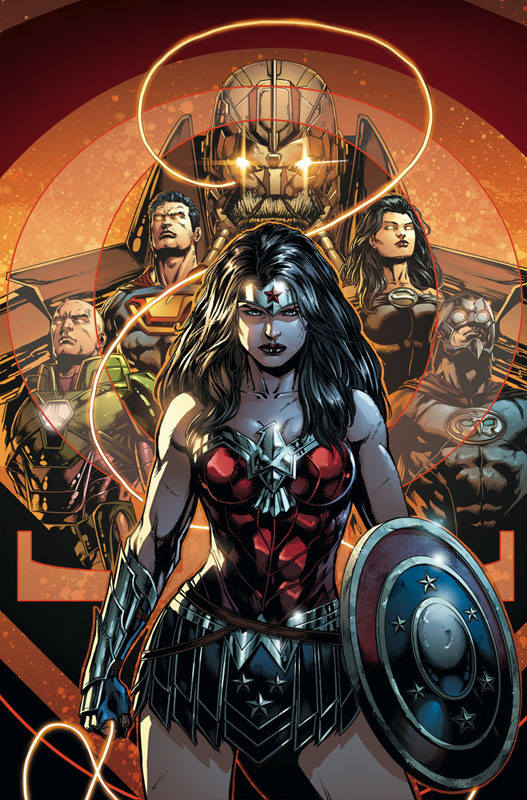 Justice League #47 – I’m enjoying the Darkseid War storyline so far and the use of the Anti-Monitor and the Crime Syndicate is always a plus. Earth 2: Society #7 – the solicitation mentions Dr Impossible – is that Jimmy Olsen on the cover and is he Dr Impossible? 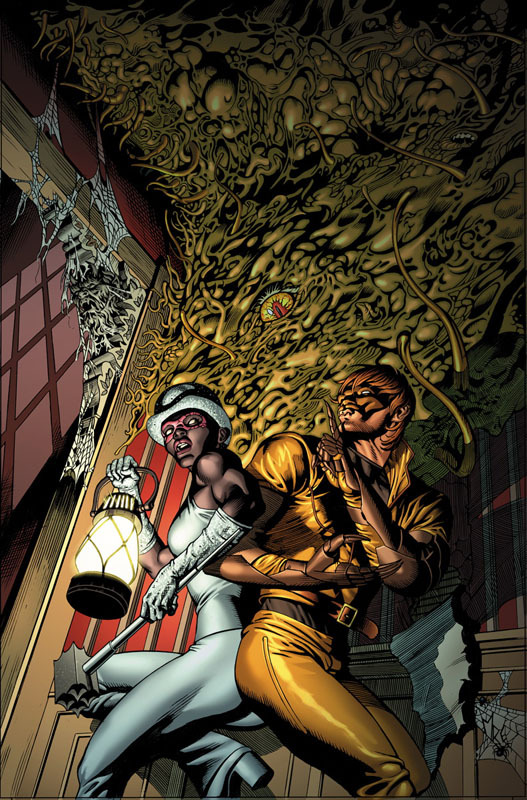 Secret Six #9 – if I wasn’t already getting (and thoroughly enjoying) this title, the solicit of “The team’s attempt to defend the Earth from invasion by the Elder Gods takes them to a creepy New England town, inhabited by one very nasty creature.” Secret Six vs Elder Gods? Sold! 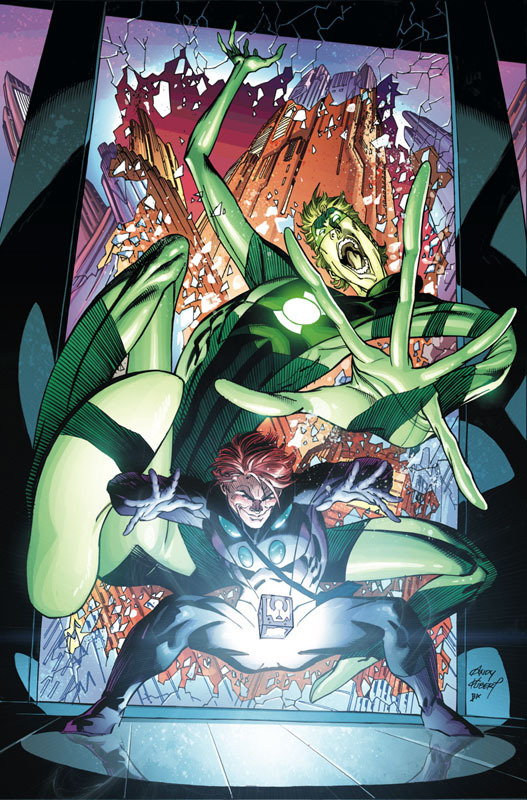 Green Lantern #47 – Sonar’s back! What do you think, Bito Wladen or the guy from Kyle Rayner’s run with metal sticking out of him? My money’s on Bito. 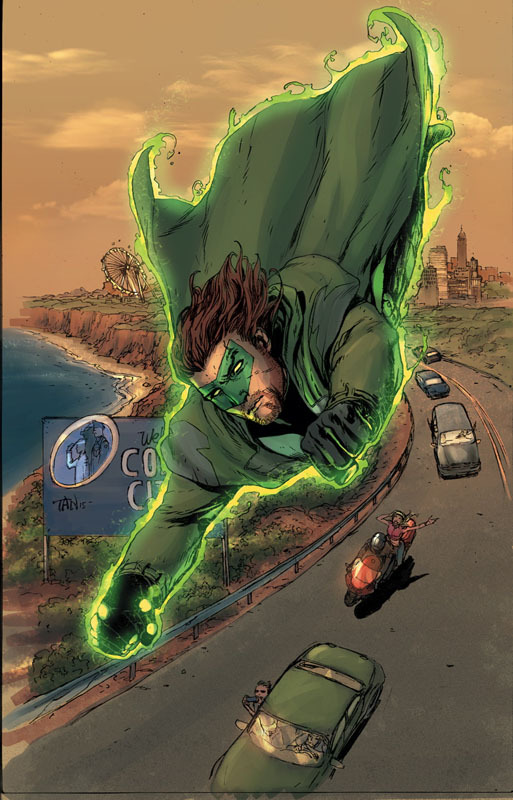 And conspicuous by its absence is Green Lantern: The Lost Army #7 which should be out in December. Another title biting the dust? The above isn’t everything I’m getting (there’s Aquaman and Justice League of America for example) but that’s what caught my eye. Posted on Tuesday, September 15, 2015 by GaryPosted in SolicitationsTagged Anti-Monitor, Crime Syndicate, Jimmy Olsen, Sonar.